So, I’ve been on something of a hiatus. Not for any particular reason – mainly work has been extraordinarily busy, and thus very taxing on my increasingly senescent faculties. In other words, by the time I get home, about the only thing on my mind is whether I have sufficient energy and wherewithal to open a bottle of wine requiring a corkscrew and wishing that every bottle came with a screw-top. In a perhaps-related story, I was searching my apartment for my padded travel sleep mask (as one does) with no results. I did happen across the folder full of childhood memories my mom had saved and given me a couple of years ago, so I decided to take a bit of a stroll down memory lane. 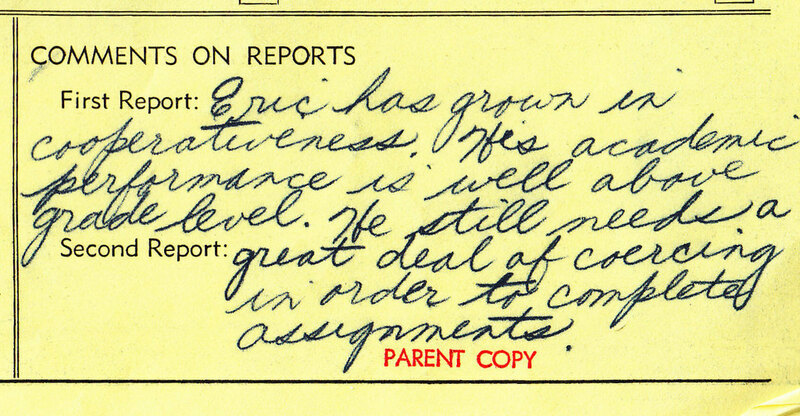 Among other things, I found this: my report card from kindergarten. Keep in mind, I was 5-years-old. 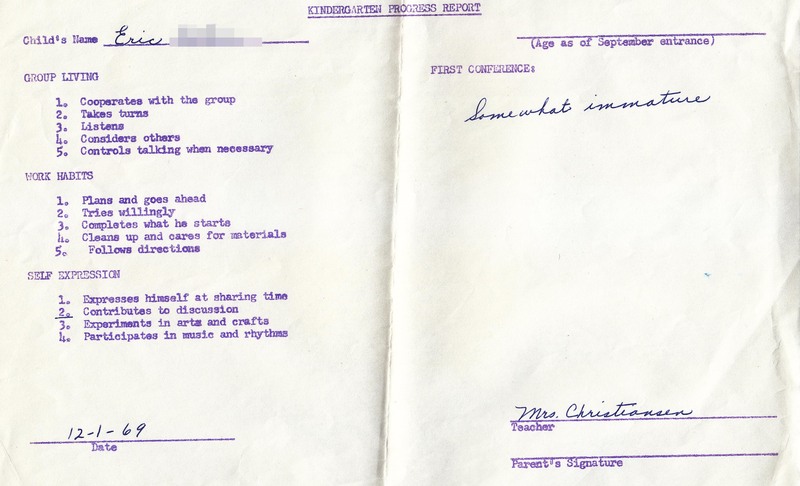 “Somewhat immature.” Well, you know what, Mrs. Christiansen? You were a crabby old bag! Though she did at least acknowledge that I contribute to discussions (surprising, I know!). Then there was this bit from my third grade teacher. Seriously, that could’ve been lifted directly from my last performance review at work. Sigh… Who knew that my path in life had already pretty much been laid out at the age of 8?